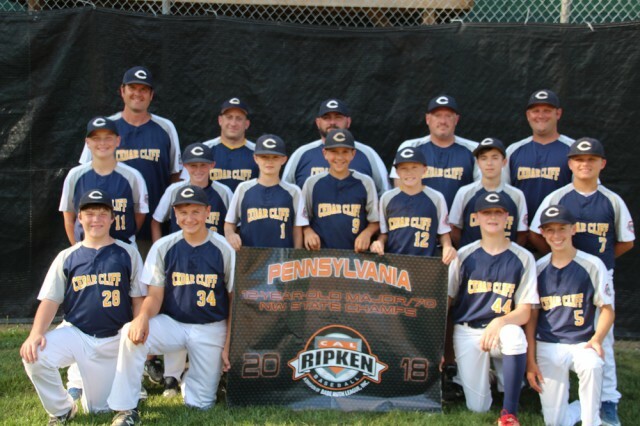 Cedar Cliff 12U All-Stars Win Ripken State Championship! Updated Friday July 13, 2018 by CCYBA. Our 12U All-Stars are the Ripken State Champions and will move on to Regionals!! Congratulations to all our players and coaches for their big win!! The team has started a GoFundMe page to help cover the cost of the 5-day regional tournament which is held in New Jersey. Please consider donating to help the families of these talented players!